Piękne robisz zdjęcia kwiatom. Czekam na nie już w ogrodzie. Pozdrawiam. Beautiful're shooting flowers. I'm waiting for is not already in the garden. Yours. It is on its way Giga ! Won't be long now ! It's been a long time a-coming Jan ! Each bloom seems like a minor miracle! We lost a clematis armandii once as well which has prevented me from plating another. The irises are beauties. I know what you mean Sue, they are very expensive to replace. The Irises are new to me this year, but I have already decided to plant LOADS more in Autumn! Hi Ela, many thanks ! Lovely -- thanks for sharing! You give us hope in America's Midwest, being probably two months ahead of us. Here's to Spring! Hi Beth. We all need a little hope and optimism where Spring is concerned ! Hi Jane, I enjoyed peeping into your garden today and see what is in bloom! I love the iris histrioides, what a stunning complex bloom and color. Another favorite is the white flowering viburnum tinus, which seems to be an excellent shrub. 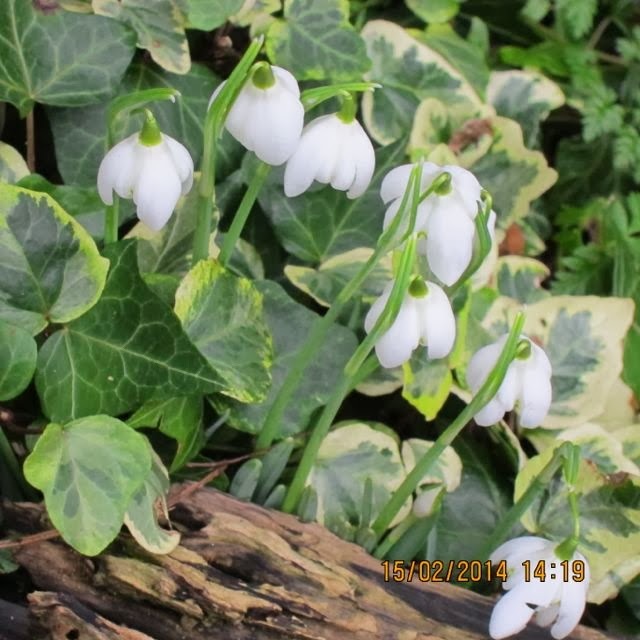 Snowdrops also always get through to my heart, and I love your photo, where they are just rising their little heads through the ivy. Thanks for the glimpse into your wonderful garden world! Hi Christina, thanks for your comments. 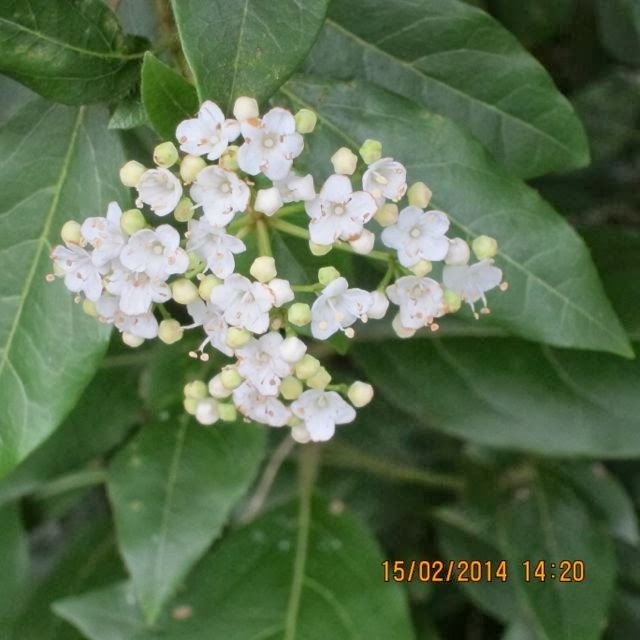 I think Viburnum Tinus is an excellent shrub too - so reliable! 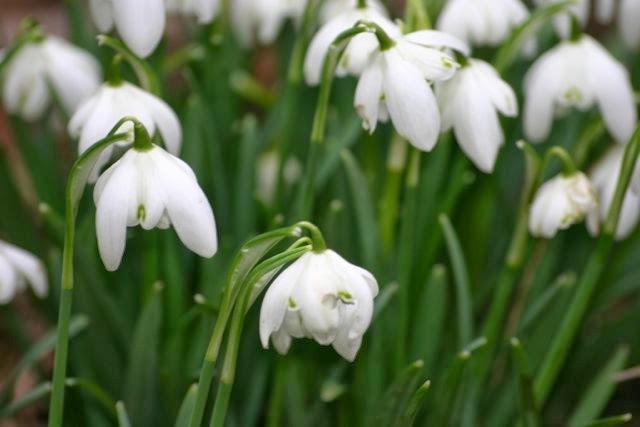 Snowdrops always tug at the heartstrings because , I think, they are the first flowers of the new season. Oh, you have reminded me to go out, under the snow, to check and see if our Jasminum is in bloom yet. That Viburnum is awesome! Oh dear Matt ! How deep is the snow ? Hopefully everything is safe and sound beneath it ! That Iris is lovely! 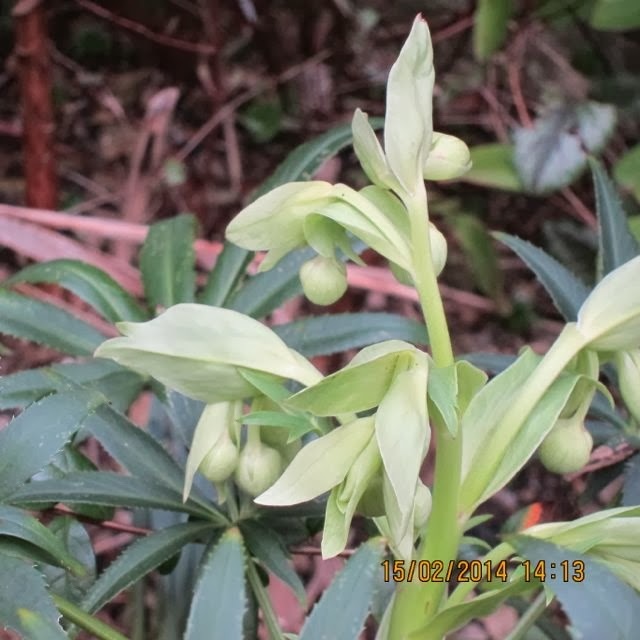 I also like Hellebores but never seen the real plant yet haha... Thank you for the wonderful close-up! Hi Stephanie. Thanks for comments. Hellebores are a lovely bit of exotica in the midst of an English winter, sure they exist just to keep us going until Spring! I enjoyed your post! Happy GBBD! Thanks Daniela ! Same to you! Well your little bits and pieces are simply lovely to my eyes. I can never get enough of Irises, Hellebores and Snowdrops. They're sights I don't get to see around here. Hi Bernie. They are real treasures ! have you had any substantial rain yet to give your plants a real soaking ? Even though they may be little, you have quite a number of blooms! How exciting to see these little heralds of spring. Hi HolleyGarden, it's surprising how many there actually are once you start to photograph them. It still looks like a wasteland out there, though, despite early signs of Spring!! 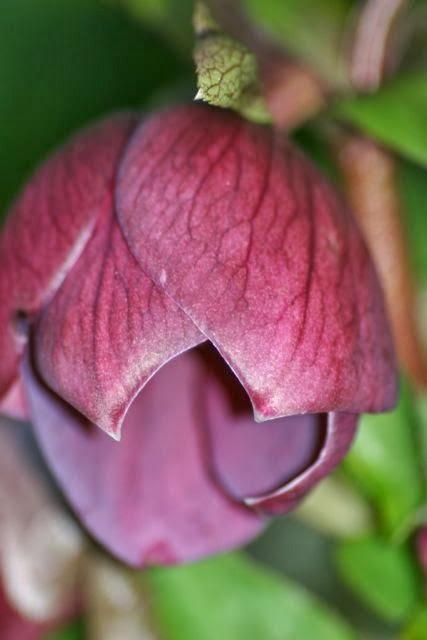 I love the deep plum coloured hellebores, so exotic. I'm tempted to try Clematis armandii again down here in Devon. The scent is wonderful. Although even here it can get very cold. Hi Rusty Duck,I would have thought you would have been fine in Devon, my mum had one for years up here in Lincolnshire, and once it established it was able to cope with quite low temperatures. How much shade will armandii put up with? 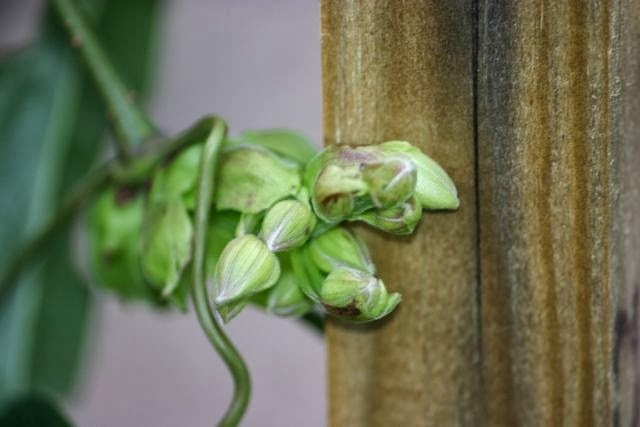 I have a very boring north facing fence with trellis, but it is low enough that it gets a surprising amount of sun from the other side, so to speak. Hi Janet, it will cope with partial shade quite happily, and obviously needs a sheltered spot too . Maybe your fence would suit it well. What a lot you've got going on there Jane - there isn't much difference between our gardens. I'm glad it's not only my summer flowering Clematis that are romping away. I do love Clematis armandii but one I have to lust after in other gardens. Tried and failed 3 times with it. I'll be looking forward to seeing yours bloom. I hope you are enjoying a fine weekend. Hi Angie, yes, we are at a very similar point,I think. It is like Spring here today. Mild and sunny - hope you are having the same !! Thankyou Arthur , very kind! The Hellebores are beautiful - and the Iris is, too. What a lovely surprise to have re-discovered it! 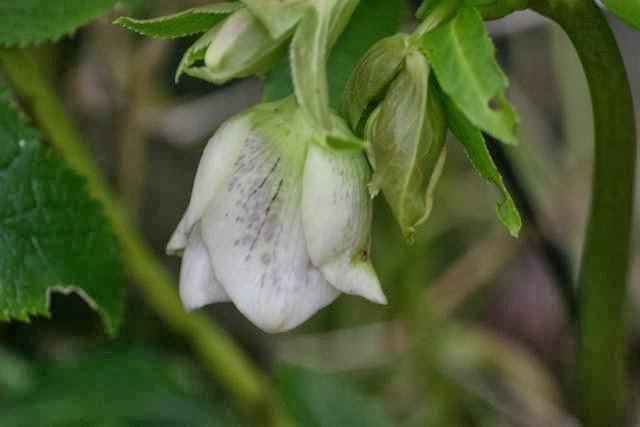 I love the idea of having a climber in flower at this time of year so close to the house, perhaps winter Jasmine or Clematis. I must look for a space! Hi Wendy. Try to squeeze one in ! 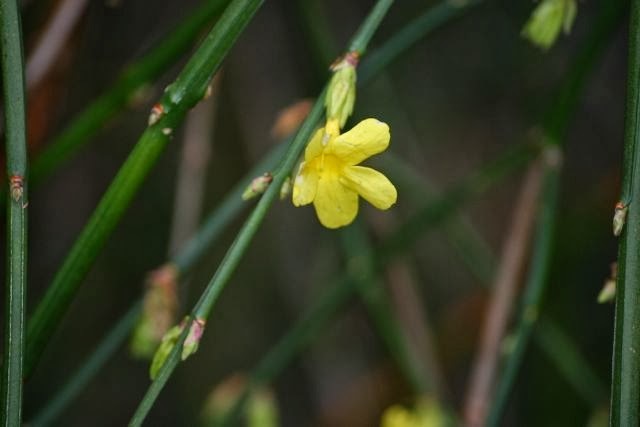 Winter Jasmine ticks all the boxes and doesn't take up too much space. You have so much blooming! I'm jealous. 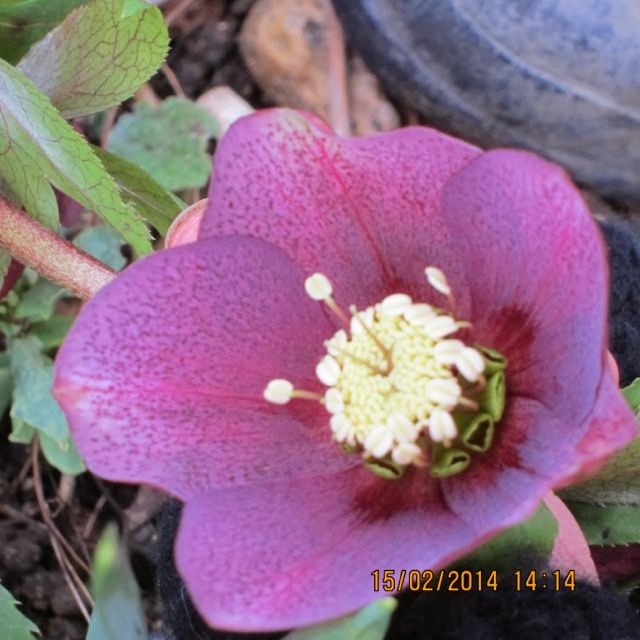 I have hellebores blooming, which is great and all that, but nothing else. Those irises are such a gorgeous shade of blue! They look suspiciously like my iris reticulata, which are a bit behind schedule but should be blooming in a week or so. Are they the same thing? Hi Sarah, irises rule ! Reticulata are similar but different to Histrioides if you know what I mean ! Reticulata are more difficult to do well with, so they say, so yay to you!! I think the foliage of Reticulata is finer and more grass like, whereas Histrioides are spear-like. I believe the flowers are very similar. 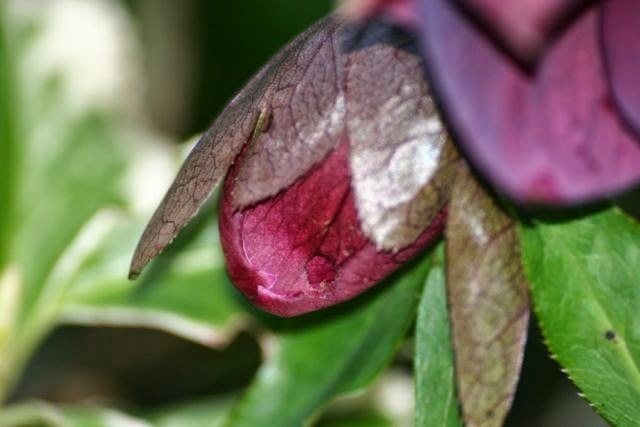 Much as I like Hellebores in flower, I prefer them in bud - the intensity of the colour is amazing. 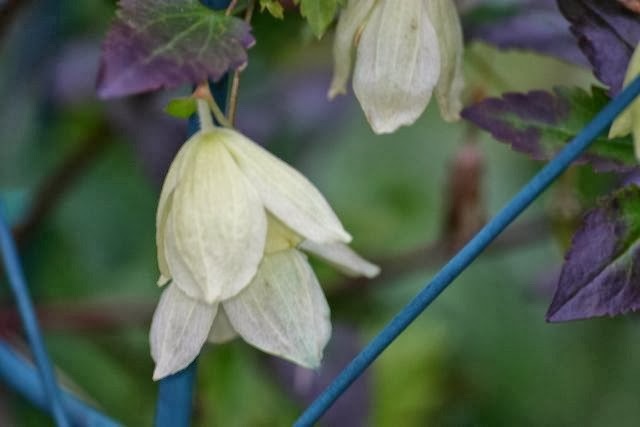 How lovely to see Clematis Cirrhosa - I am a massive fan of it even though it likes to romp. You have so much in flower and I am particularly delighted to see that it's Pulmonaria time. 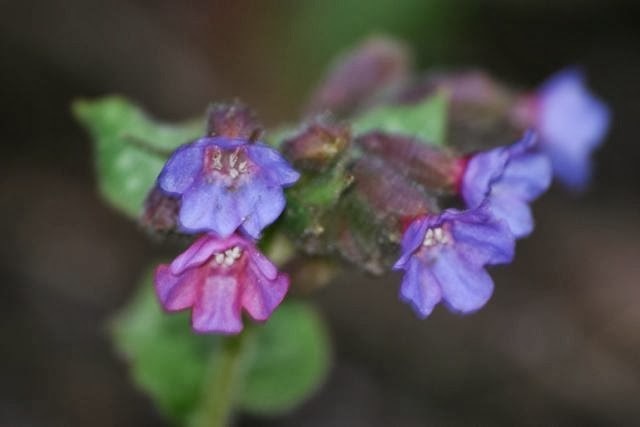 I am now going to brave these high winds and inspect our Pulmonaria to see if there are any flowers. Are they in flower yet then ? I'm glad you said that Clematis Cirrhosa romps away ... I'm still waiting for mine to take off. It has been in nearly a year, I think, so hope there is still time ! It is nice to be surprised by plants in the garden. The little blue iris are so pretty. I must remember to add a few more next year. Your hellebores and snowdrops are so pretty. It is nice to inherit a few hellebores. (They are expensive here!) Spring is off to a nice start. Here we are still snow covered. Have a wonderful weekend Jane! Hi Jennifer, hellebores are ridiculously expensive here too ! I would like a double but can't quite bring myself to buy one ! Hi Ash and thanks for your comments! Winter Jasmine seems to as hardy as they come,and has survived down to minus fifteen. 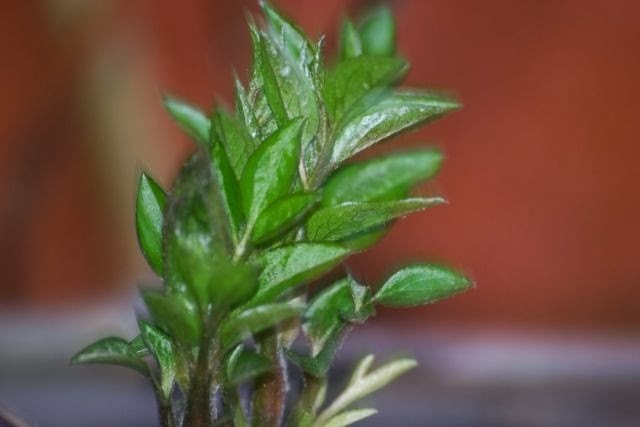 It is quite small flowered and different to the larger flowered, more exotic Jasmine. The iris is new to me this year, but I want to grow lots more next year. 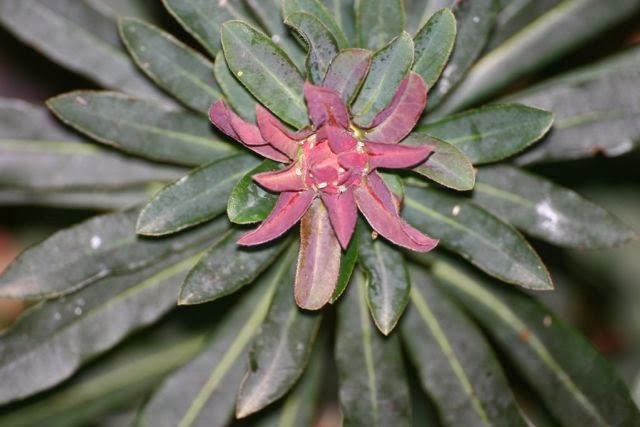 I'd love a Cirrhosa but it would probably never flower here as winters are unpredictable. So many gardeners in Perthshire lost their Armandii a few years ago that I've always been hesitant in buying one. I can just imagine that in a few more weeks your garden will have some glorious spring colour. Your photos are outstanding! Really lovely on a snowy day here in BC. Thanks for your kind comments Wendy. It feels as if Spring is here now in the uk, but I think it is just lulling us into a false sense of security! Thanks for visiting Jane, so good to hear from you. 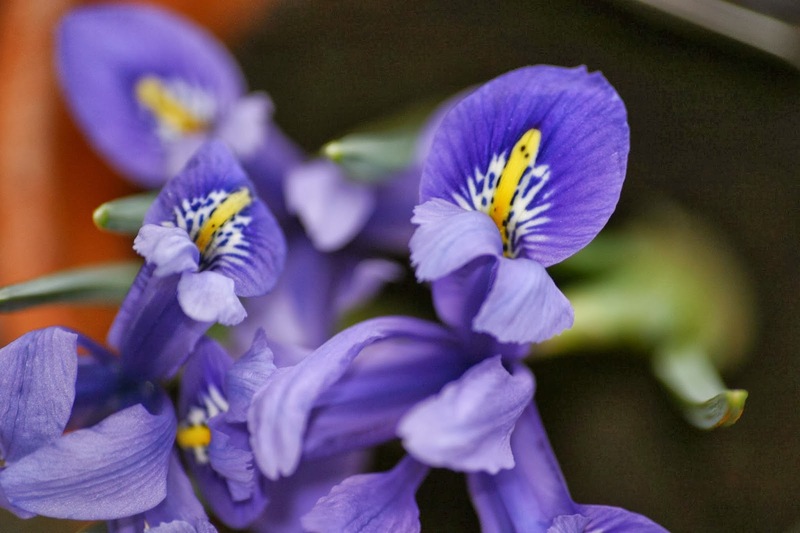 Your flowers are beautiful, especially your Iris histroides, must make a note to buy some in the autumn to add to my early spring flowers. I will now start exploring your garden! Loved your garden Pauline, and your blog - now on my sidebar! I had no idea about 'Bloggers Bloom Day' or else I would have joined in! These are some brilliant pictures and the Iris Histrioides is definitely my pick from your bunch. It's always been a personal favourite ever since my mum had a group of them in her garden. Hi Thomas, thanks for your comments. 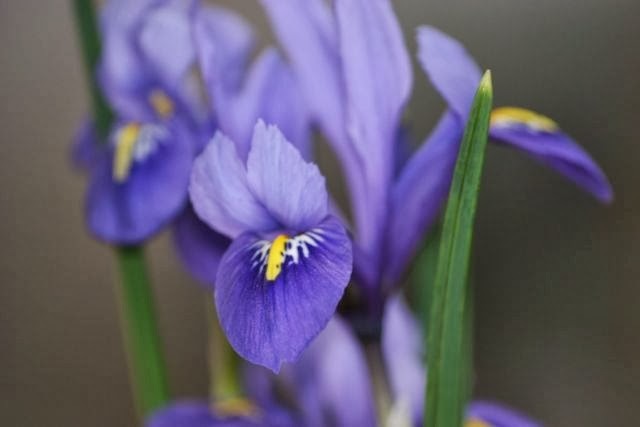 Iris Histrioides is my pick of the bunch too, and my mum also loved it and also grew it. It really reminds me of her. 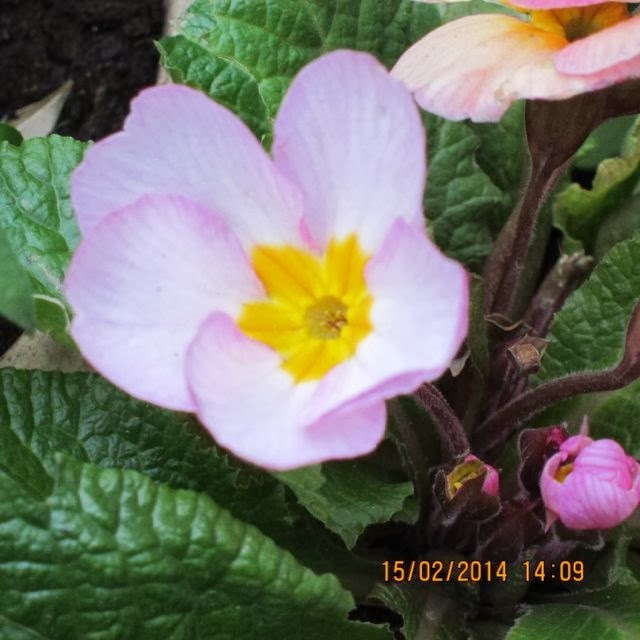 'Blogger's Bloom Day' is a great way to find new blogs and plants. It is hosted by May Dreams Gardens on the 15th of every month. 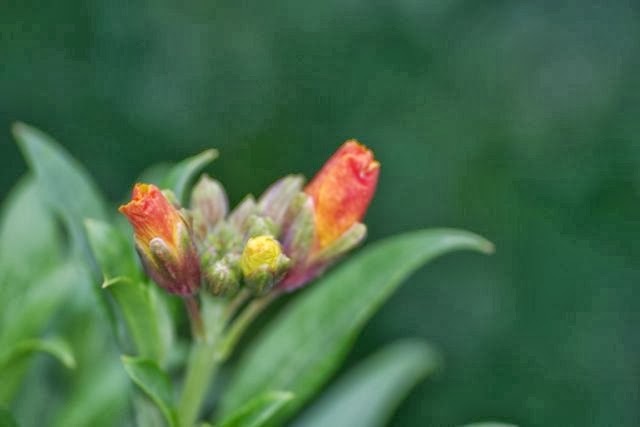 A large portion of the general population trust that with the onset of the mid year season it implies the end of their delightful garden yet they don't know that there are a lot of hues for a late spring garden. What's more, you can without much of a stretch pick shape the distinctive summer annuals, late blossoming perennials and the decorative grasses that arrive for you to develop in your late spring garden. My Blooming Tea Story starts with the fact that I love drinking my tea all day, any day. Especially chilled on hot summer days or when I am cold and tired on a winter's night. To me, there is nothing more soothing than a nice cup of tea. bloggers blooms exist in view of the supplements, warm and the nearness of some phytoplankton species in any water system. Most sprouts are hurtful to the earth and are viewed as negative.